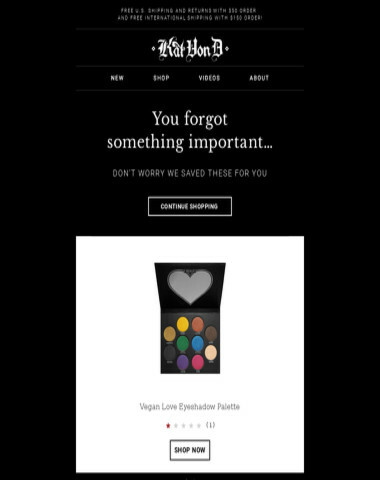 We’re artistry for the people, by the people, powered by long lasting, high pigment, cruelty free makeup. 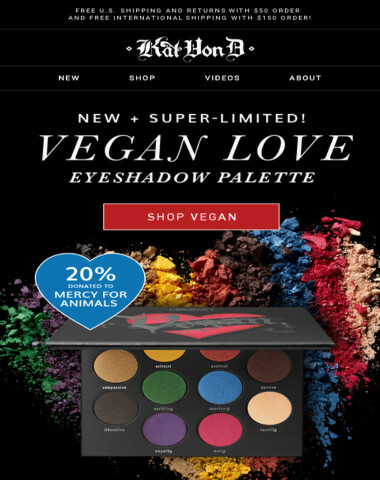 Born from Kat’s relentless pursuit of product perfection, our mission is to create hyper-performance vegan makeup so everyone can make compassionate choices without sacrificing bold, beautiful color and everlasting wear. Fuel your self expression with an award-winning lineup of waterproof liners, eye makeup, prismatic highlighters, vegan makeup brushes, and the iconic liquid lipsticks that started the craze. 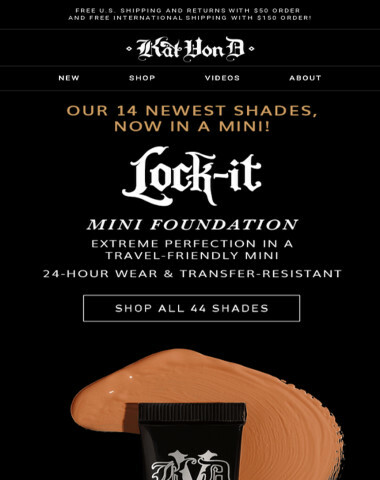 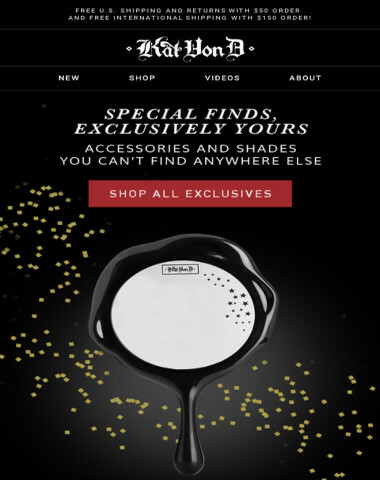 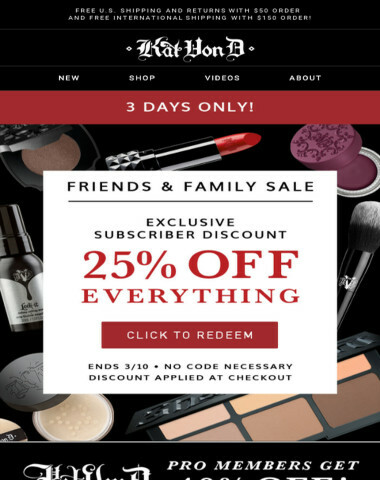 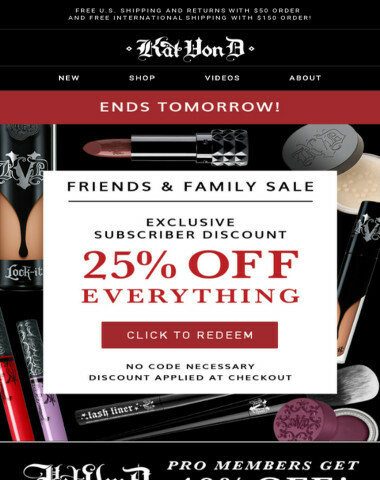 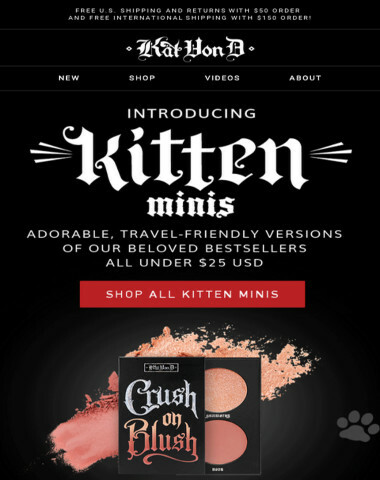 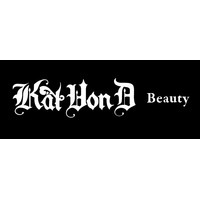 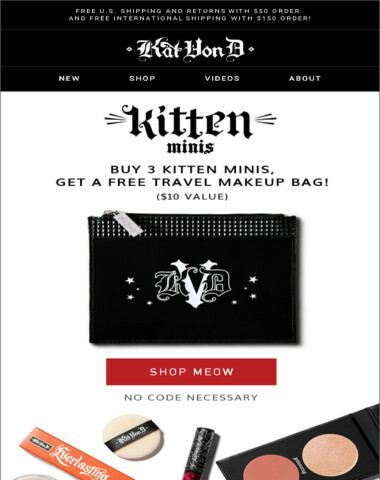 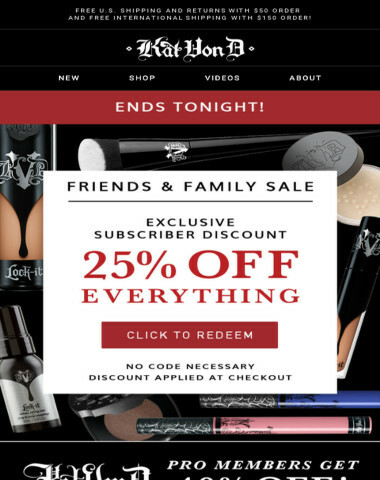 Kat Von D Beauty has rocked the beauty world with artistry-inspired makeup products that empower you to unleash your boldest self. 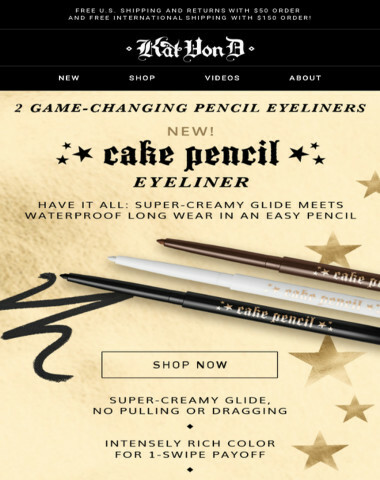 Go ahead and break the beauty rules—we can’t wait to see what you create! 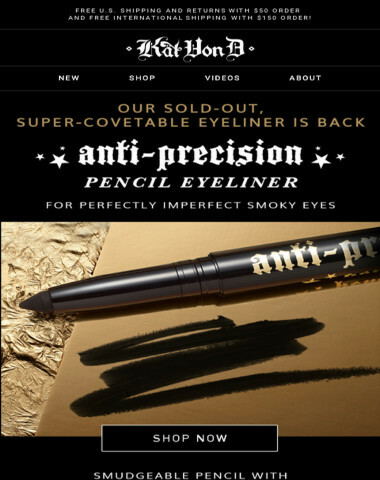 Anti-Precision Pencil Eyeliner is BACK WITH A NEW LOOK! 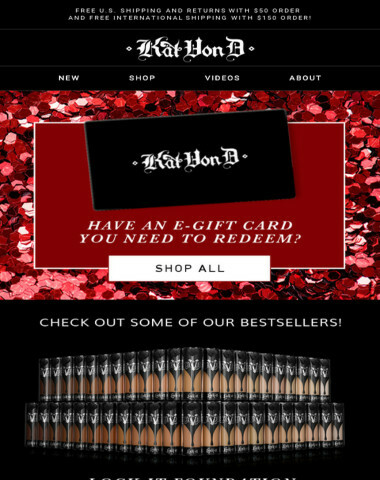 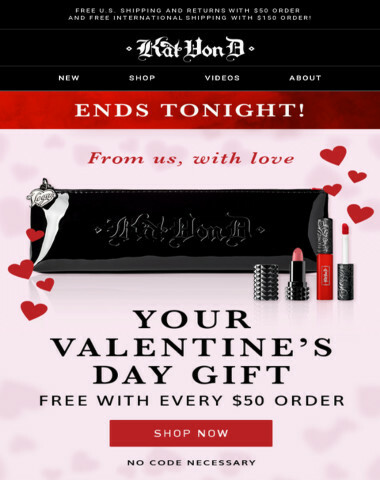 Have an e-gift card you need to redeem? 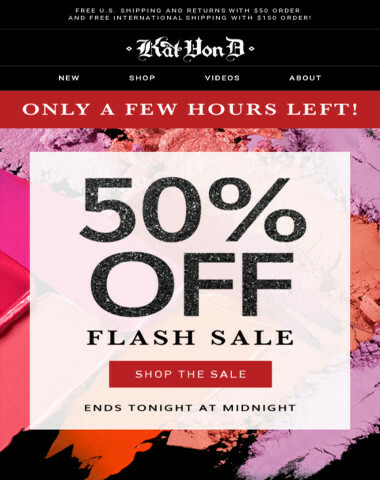 Limited time only—50% OFF FLASH SALE!